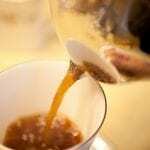 There's a big change that has been happening in Coffee. This change is one that has taken a number of years to come to fruition…and it's one that is causing rippling effects throughout the industry, and coffee culture in general. 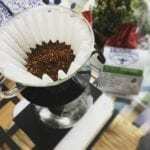 This is primarily because roasting lighter showcases flavors, aromas, and general experience in the cup that is responsible due to the origin and processing of a coffee. The real force behind all this is that the quality of production in coffee – at the farm level – has been experiencing and massive uptick over the past few years. People figured out that in order to progress coffee further than it was, we needed to improve quality at the farm. Improving quality at the farm resulted in higher quality of green coffee, which has resulted in roasters being able to coax out more fascinating flavors in coffee, which has caused a cascading effect through the industry. The beauty of this – it's only the beginning. 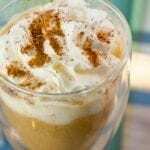 Most people do not know that you can have a coffee that tastes like grape juice, that makes you remember rich cherry pie, that is more decadent than an indulgent hot cocoa…and all this without adding anything to the brew other than the coffee itself, and water. And direct trade is responsible for it all. Roasters and importers creating direct relationships with farmers, assisting them in modifying their production, investing in them…it's a process that takes time to show it's results, and we are now experiencing the fruits of that labor (pun intended). But it's only the beginning. 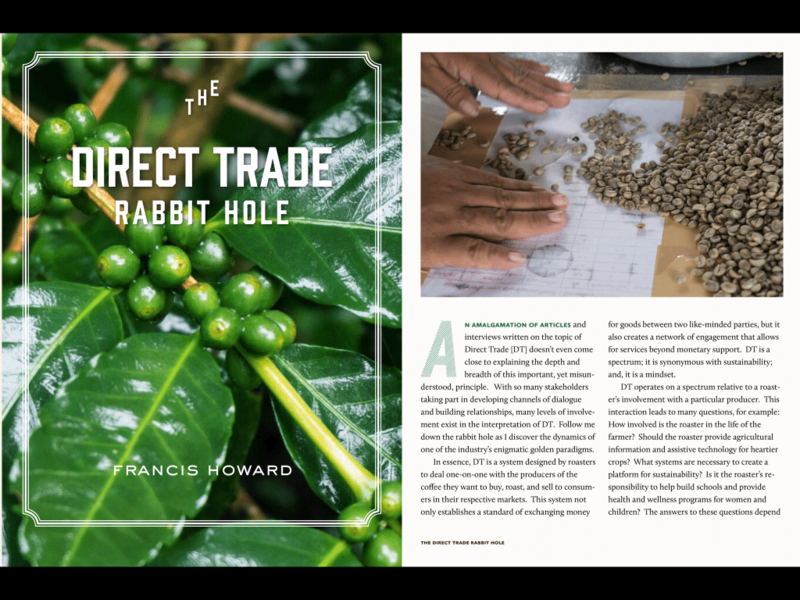 Because of it's importance in the worldwide coffee community moving forward over the next 50 years, we wanted to explore the concept of Direct Trade. What does it mean to different people? What does it mean to you, the consumer? How can you take the information to improve your own coffee experience, and help coffee as a whole progress further? As consumers we should change our mindset and rethink how our buying habits affect the longevity of coffee. It doesn’t matter if your favorite roaster is a gold star member, a runner-up, or just happy to be here; there’s nothing wrong with their level of involvement in DT because the movement itself is working. But, while we’re racing on our hamster wheels, fueled by ethically sourced and sustainable caffeine, existing in our righteous bubbles of ‘I won’t buy from that café because they don’t have rainforest stickers on every bag’, even though their coffee was purchased from an importer who has established relations with several farms over the last five years, a disproportionate amount of the population is still scooping heaps of blueberry flavored brown powder into drip machines, oblivious to what they don’t know they don’t know. (BIG BREATH) If you’re concerned with how to contribute to DT, look for evidence of transparency, the name of the farm, even the dry mill or name of the region. The more information on the bag, the more transparency and traceability there is. You can enjoy the full article in the current issue – simply visit here to learn more.